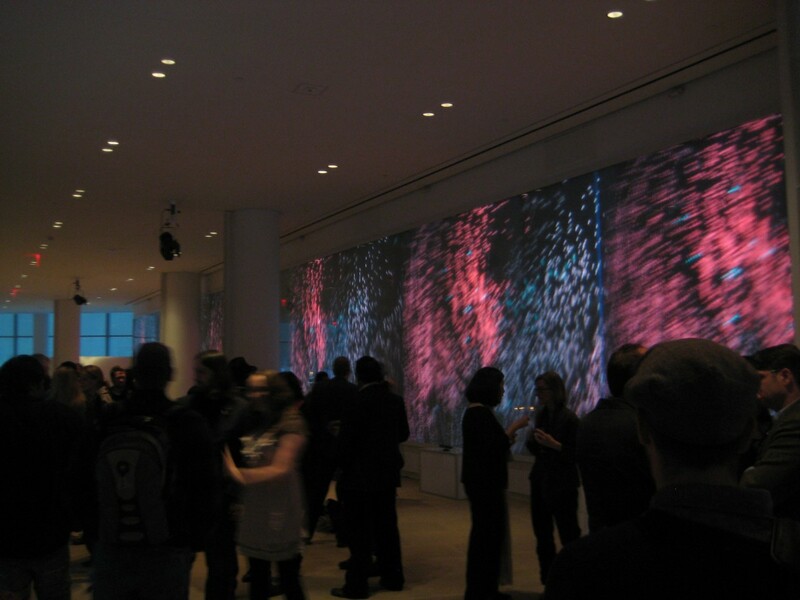 This project was created for the Tribeca Film Festival Interactive Day held in the IACHQ building in Manhattan. 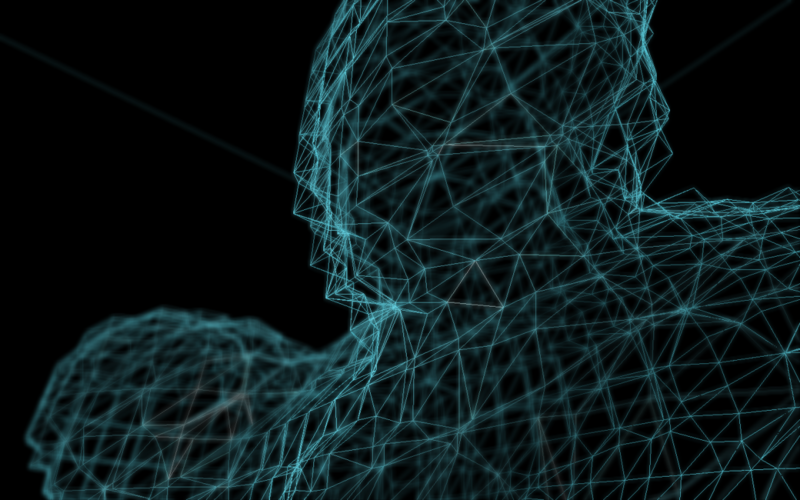 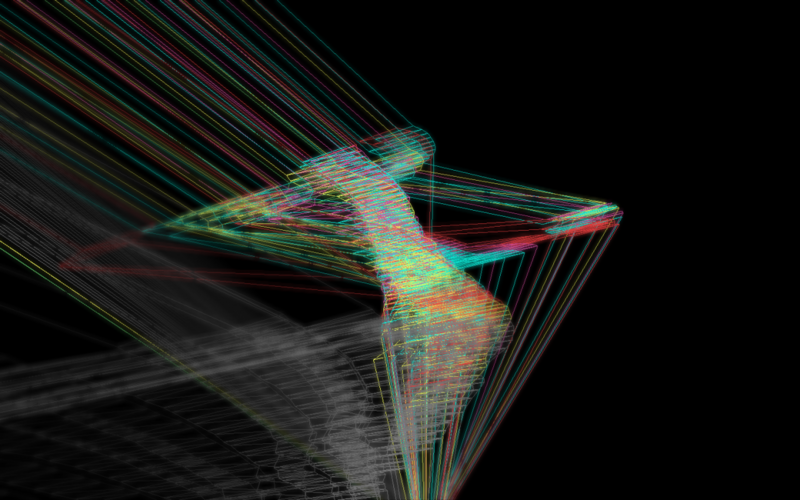 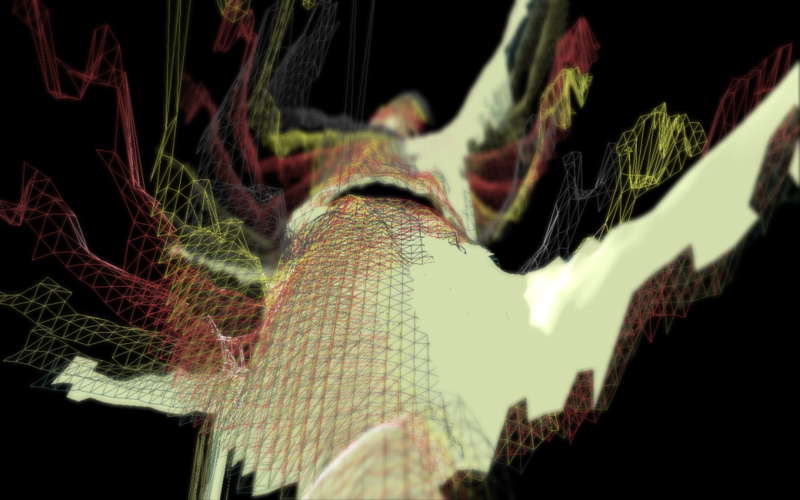 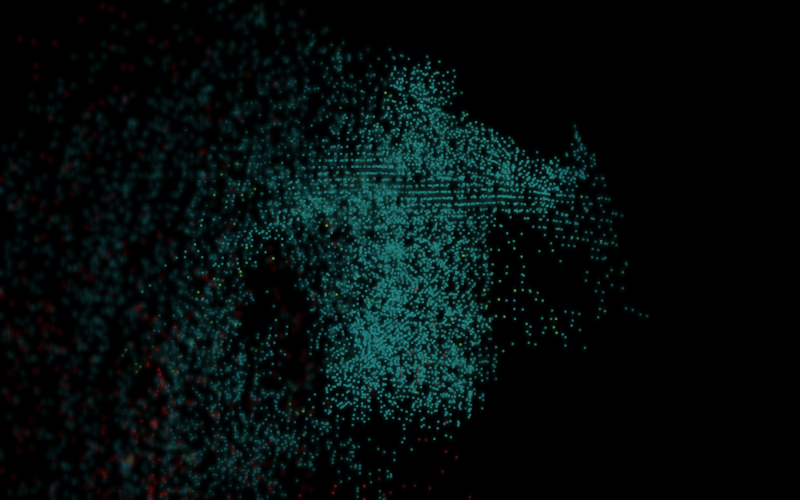 The user's movement creates unique visuals in a virtual 3D environment that react to audio. 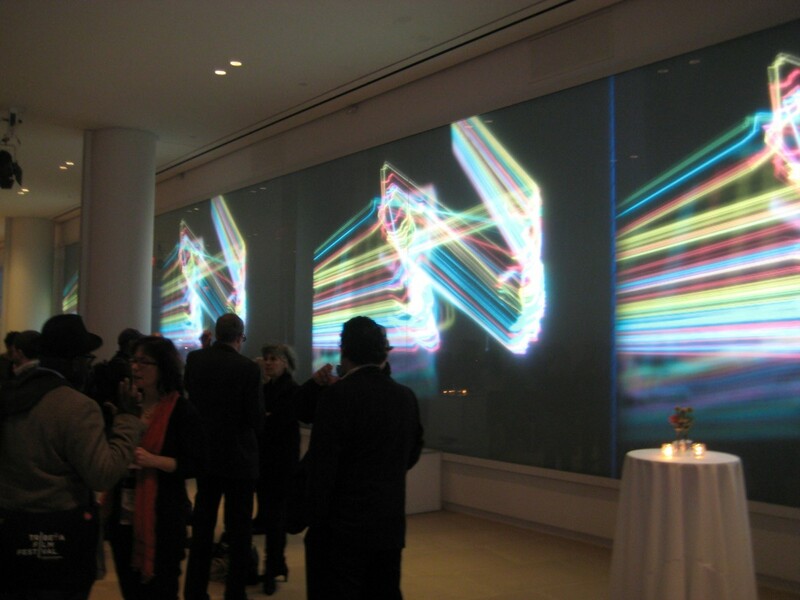 The visuals on the massive 120' x 11' video wall.